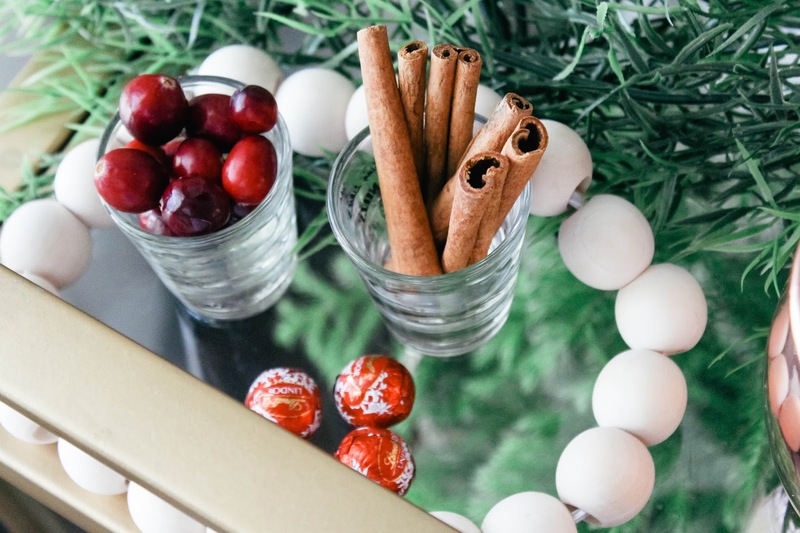 Hello lovely blog readers! 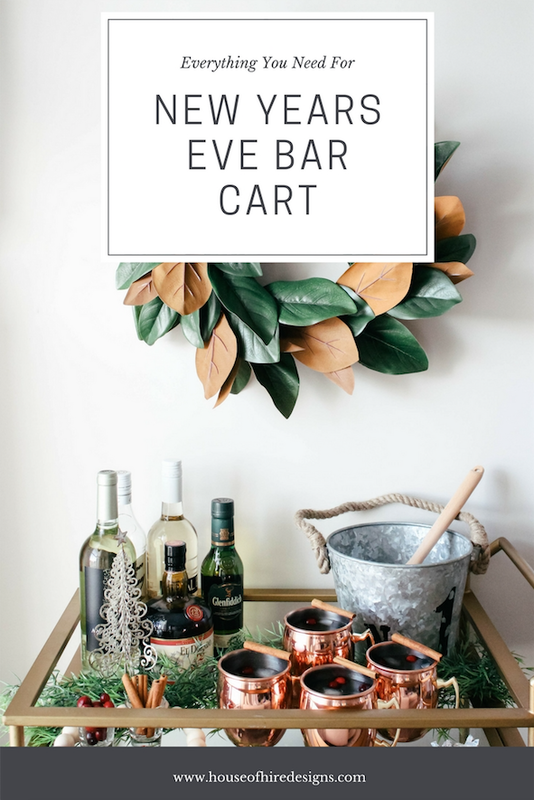 If you are popping over from Jane at Home welcome to my little corner of the web :) I am so excited to partaking in this blog hop with some lovely ladies to give you some major inspiration for your New Years Eve bar cart! 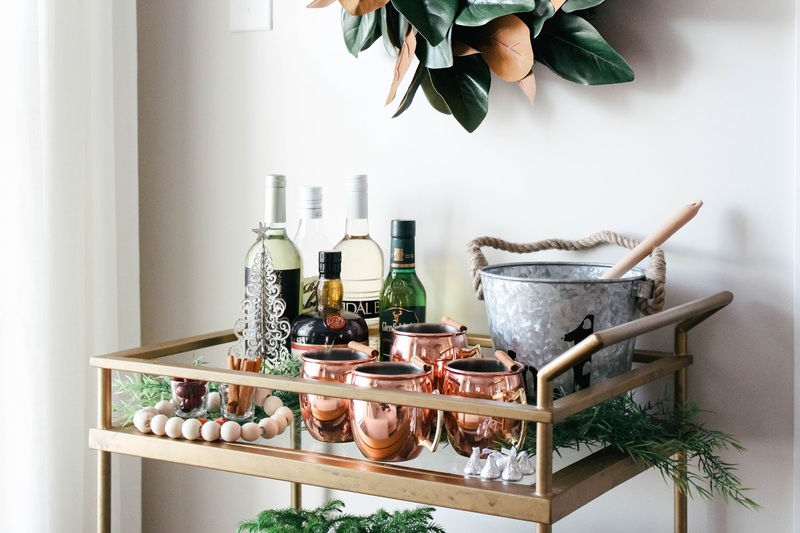 I feel like the bar cart is such a fun piece to have and you can style it in so many different ways for every occasion. My specific bar cart is from Target, they always seem to have some variation of it in stock. 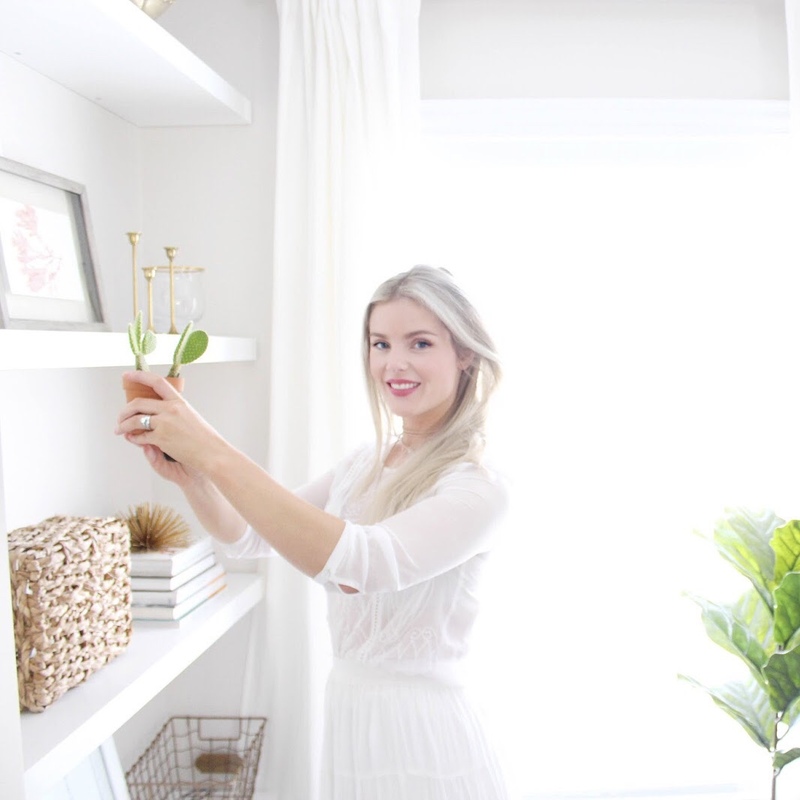 I like to keep things fairly simple with styling so that it's not too fussy and caters to the main task at hand- making drinks of course! Ok well let's dive on into things shall we. 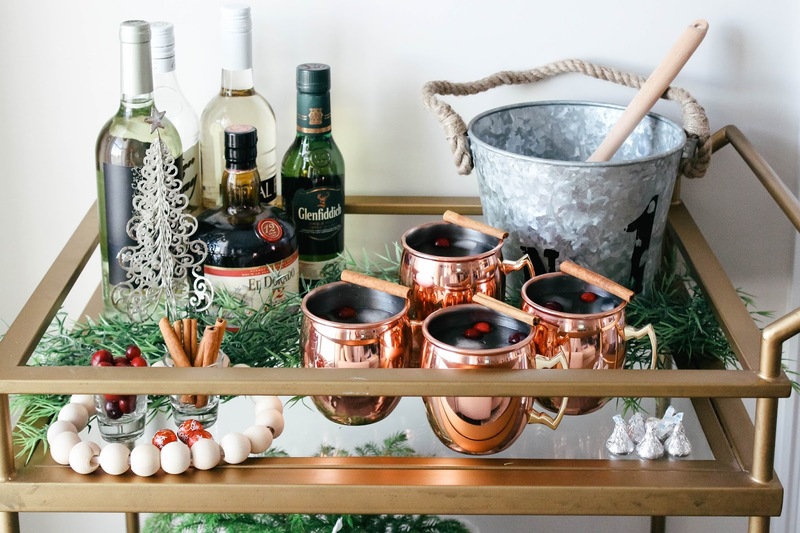 What a gorgeous bar cart set up! 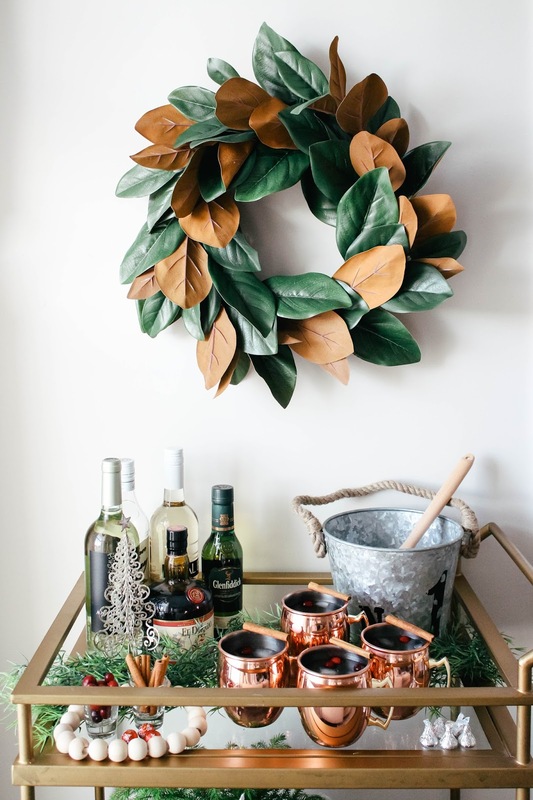 I love the mix of copper with the greenery and your party supplies! 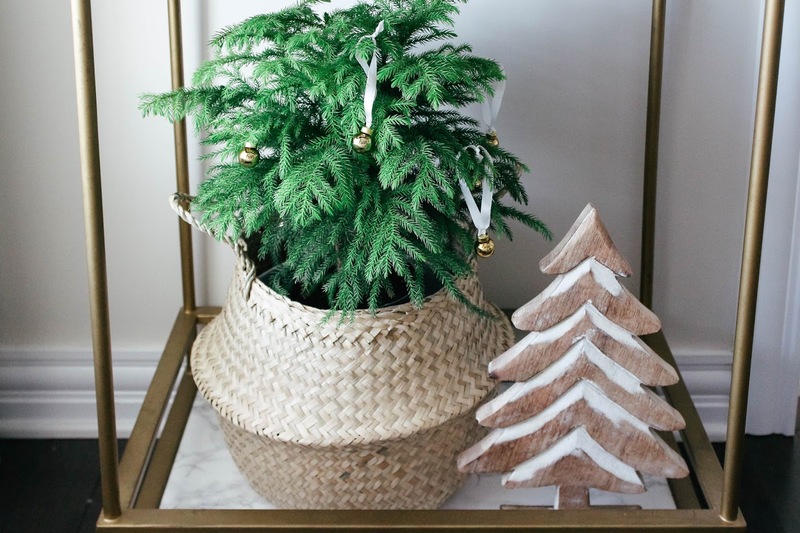 So pretty and festive! 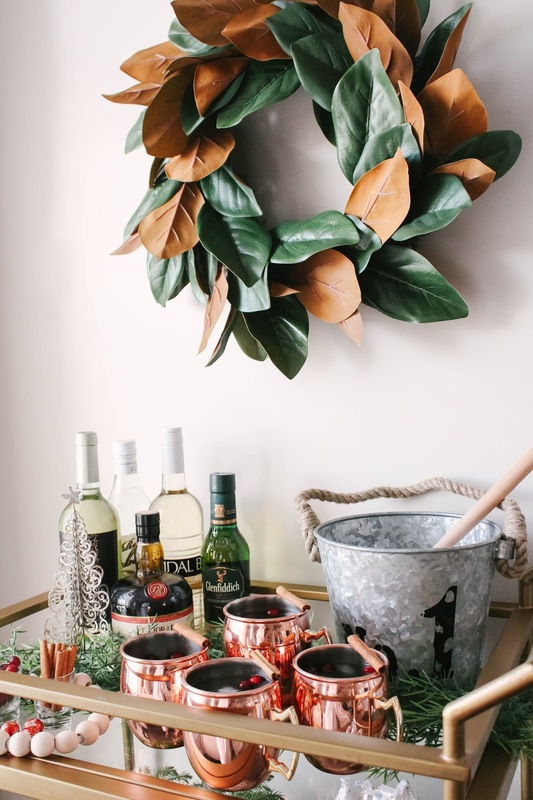 Those Moscow Mule mugs are gorgeous! 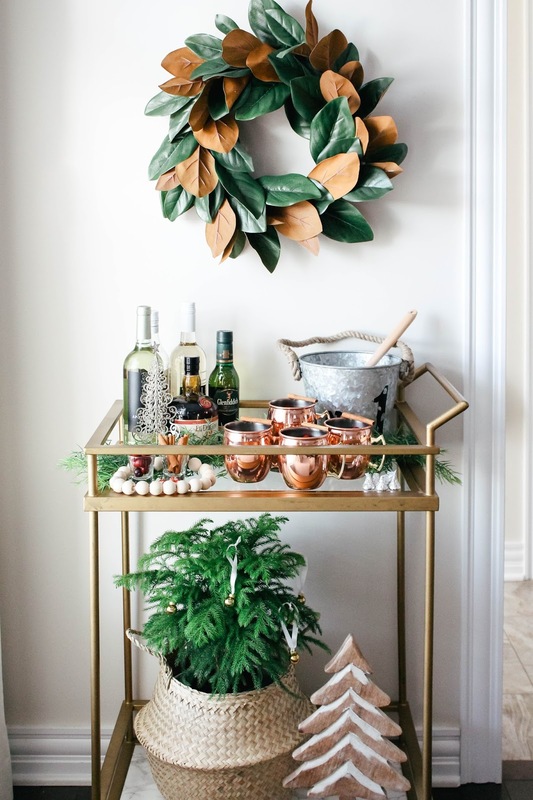 I love this beautiful New Year's Eve bar cart, Lauren!